With top notes of fresh bananas and juicy grapefruit, middle notes of kiwi, juicy bubblegum, and strawberries; and a hint of vanilla as a base note. 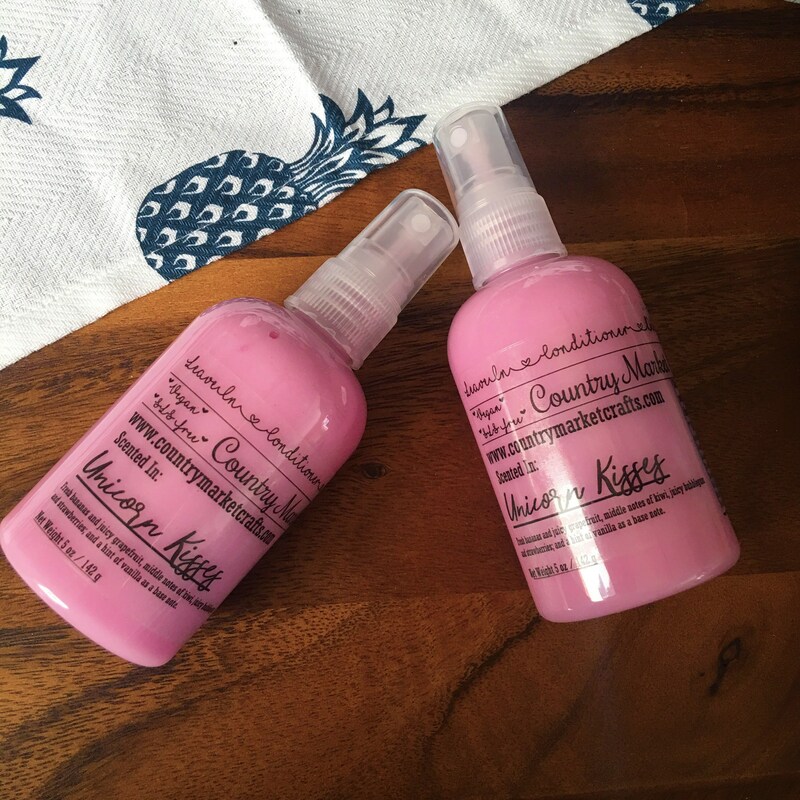 This vegetable based Leave In Conditioner offers a natural shine without silicones or residue buildup. Help improve your hair with Pea Peptide which combines a mixture of amino acids. It is nourishing and beneficial for hair volumizing, and strengthening the hair shaft. Ingredients: Deionized Water, Leuconostoc/Radish Root Ferment Filtrate, Cetearyl Alcohol, Distearoylethyl Dimonium Chloride**, Propanediol, Cococaprylate, Hydrolyzed Keratin, Bambusa Arundinacea Leaf Extract, Trametes Versicolor Extract, Pisum Sativum (Pea) Peptide, Castor Isostearate Succinate, Sodium PCA, Sodium Lactate, Arginine, Aspartic Acid, Glycine, Alanine, Serine, Valine, Proline, Threonine, Panthenol, Guar Hydroxypropyltrimonium Chloride. Less than .25% preservative, Radish Root is a natural preservative with reduces the amount of synthetic preservative required. I have really thick, curly hair and this is the only product that has ever left it feeling so soft! Just perfect!!! Thank you! Love the scent! 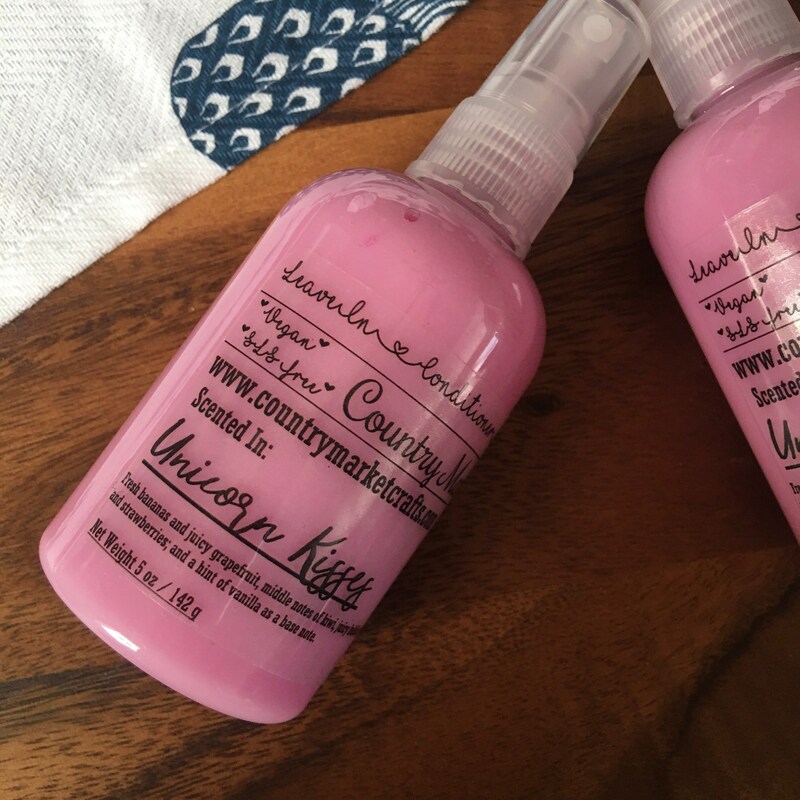 My first time using Unicorn Kisses leave in, I was already a fan of the unicorn kisses scrub and bath bomb and of course, now this one will be my go to one. Scented lovely and last all day.